Selling products online is one of the most trending concept to start a business today. Everyone likes to open an eCommerce business to give an hassle free services to customer. For Joomla eCommerce website, its very important to get best Multipurpose Joomla eCommerce Template. Last week, we release one of our best eCommerce Joomla template - JA Mixstore. JA Mixstore is a multipurpose eCommerce Joomla template supports 2 most popular ecommerce Joomla extensions: Virtuemart and J2Store. Its a perfect suit to start fashion, clothing, shoes, hand-made, megashop or furniture website. 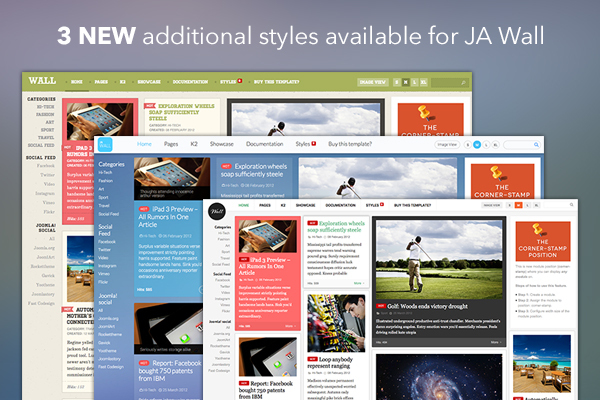 JA template comes with 6 Homepage layouts, 7 Product page variations and developed with T3 framework. In this blog post, we will discuss the core features of the template with screenshots. 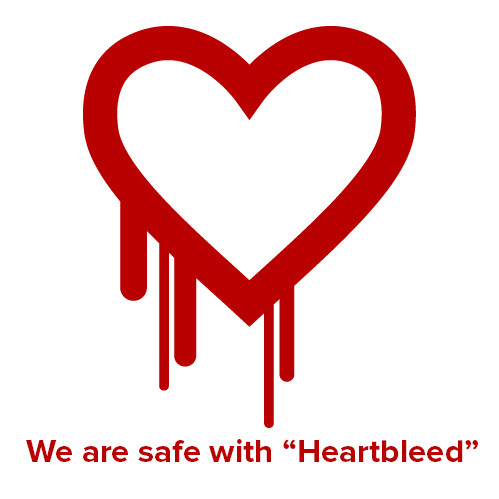 We are safe with Heartbleed! This Monday, a bug in OpenSSL, revealed by security researchers at Codenomicon an independent security firm and also at Google, is named Heartbleed. Two third of the active world wide websites are compromised by this security flaw. A few days back, we have posted a teaser video of Joomla 3.3, and everybody seems to be on the hype of the upcoming Joomla. 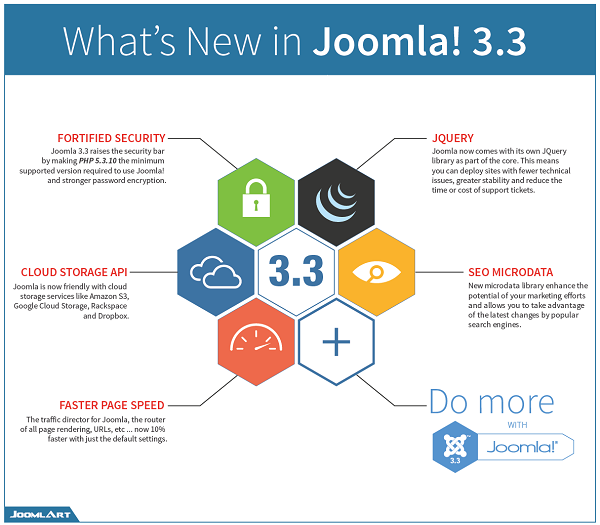 So we quickly put together the new features of Joomla 3.3 in this infographic to keep you updated about the upcoming release. After the Developer Preview version of Purity III released 2 weeks ago, we are still amazed on how much feedback, support and love we are receiving on a daily basis toward Purity III. For these, we THANK YOU. And today, the long-wait is now over. 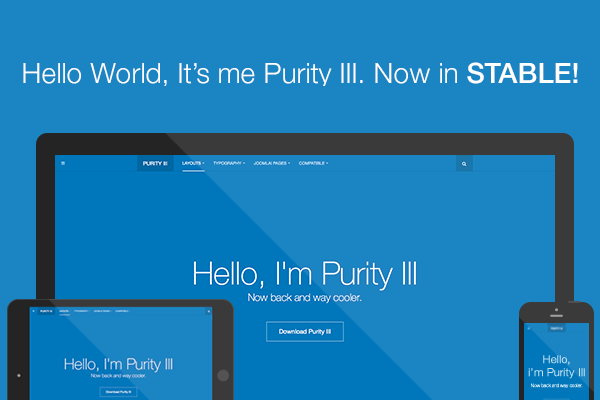 We're glad to announce that Purity III stable version is OUT. 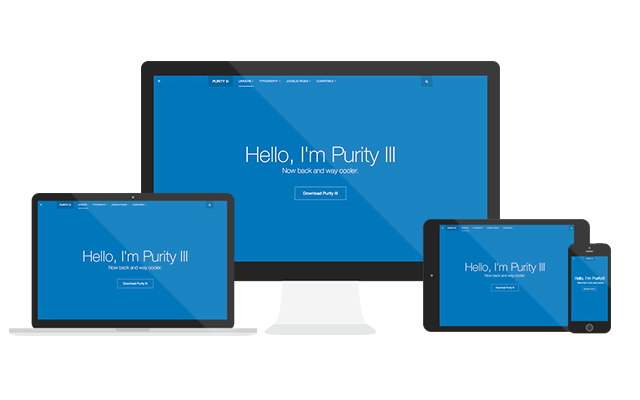 Purity III - I am back and way cooler..
Time flies and I can't imagine that it is already 7 years since our Purity template was chosen to be the winner of Joomla 1.5 template contest. The template was later selected to be included into the core of Joomla 1.5. Purity has been the most successful template so far because of its simplicity yet flexibility. It does not look fancy, but it works seamlessly with any type of content you come up with. 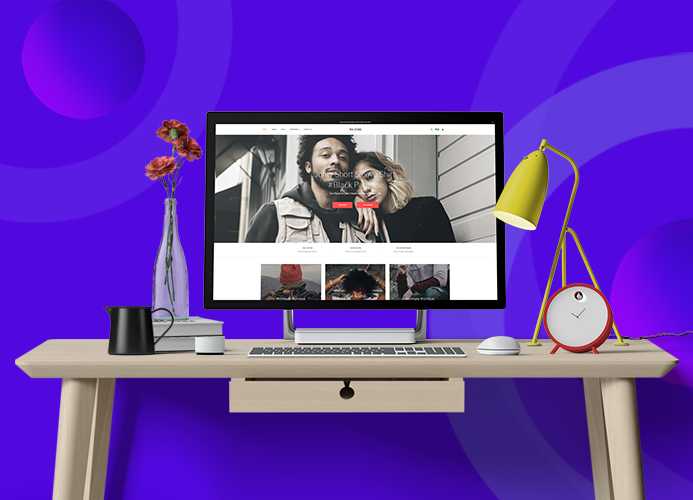 The Responsive Joomla template bundle - JA Wall is out today with 3 additional styles including: Vintage, Mirror and iWall, as promised in our previous blog on the latest upgrade for JA Wall to Joomla 3.2. 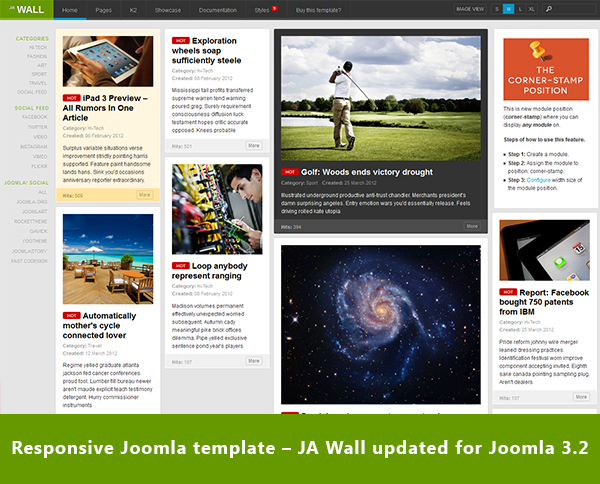 The responsive Joomla template bundle - JA Wall for blog, portfolio, magazine and business has been released to be compatible with Joomla 3.2.